Along with originals, and Piaf-ian covers of familiar tunes, she is known for her parodies on the subject of steampunk, remodeling works by Thomas Dolby, Frank Zappa, Led Zepplin, ZZ Top & The Beatles. She is inventrix of “Gothic Polka”, with the release of her recording “Polka Haunt Us”. Each track on PHU is based on authentic spooky lore from around the world. The indigenous music of the tale is then combined in unholy alliance with polka, thus rendering a veritable “Sonic Frankensteam!” It’s a musically-eclectic wild ride around the world via scary story, making every day Halloween. This entry was posted in artist, author, author interviews, authors, blogtalkradio, books that matter, business, CD, celebraties, radio for women, singer, wikipedia and tagged #inspirationa, #quotes, actors, acx, amazon, amazon books, Android, audiobook, author, blogtalkradio, celebreties, radio for women, radio show, radio. 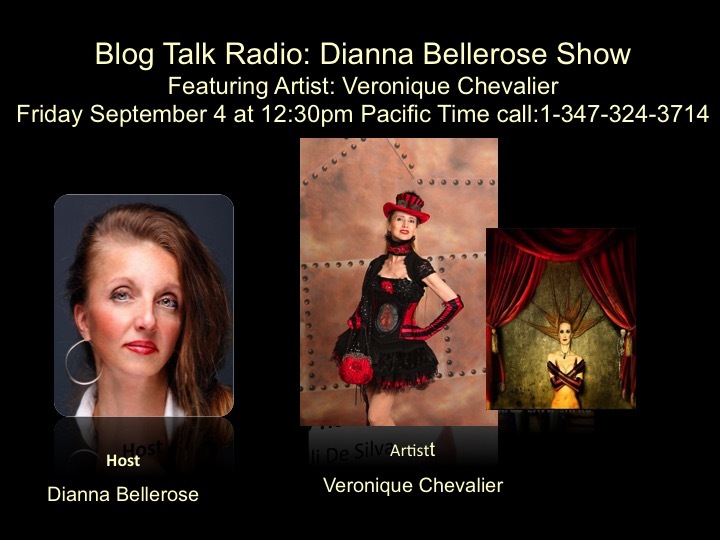 blogtalkradio., singer, TV, wikipedia, women"s radio on September 1, 2015 by diannabellerose.